Just 12 of the best Twitter reactions to Netflix's YOU we can't get enough of. YOU is the latest binge-worthy series to be dropped by streaming giant Netflix, and people are loving it. 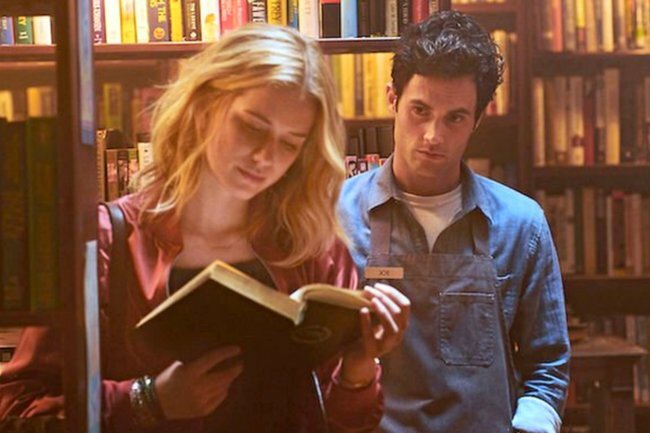 Starring Penn Badgley, whom we all loved as Dan Humphries in the iconic Gossip Girl, YOU is about a guy called Joe, who is a psychopath, a relentless stalker, and a murderer. Yes, this makes viewing YOU quite the exciting, thrilling… and also, confusing ride for many people. Because, we all adored sweet, quiet Dan Humphrey and it’s an adjustment to learn he’s now batsh*t crazy. Not alone in a good way, that is. Here are the best reactions we’ve found, which raise excellent questions, share excellent observations, and make excellent LOLs. Ok. So I’m two minutes into “You” on @netflix and I’ve already been sick in my mouth like twenty times. It’s made even worse by the fact that Mr OG “Nice Guy™️” Dan Humphrey is playing the lead. ‘You’ on Netflix is mental but my first thought is that lassie needs to shut her curtains. Me: It’s 2019. I should get out there and date.